Organizations are sitting on large amounts of valuable health data - whether they are healthcare providers, health IT developers, insurers, or claims processors. The analytical value in this data can be unlocked to improve efficiencies and to create new business opportunities if it can be used and disclosed. The HIPAA Privacy Rule provides mechanisms for using and disclosing health data responsibly without the need for patient authorization. These mechanisms center around the HIPAA de-identification standards. In this webcast presentation we will first provide an overview of how data can be re-identified, with reference to a number of recent real world examples. This will be followed by a description of how to de-identify health data in a defensible way according to the HIPAA standards and to protect against known re-identification attacks. Get an appreciation of how re-identification attacks have been performed. Understand what the HIPAA Privacy Rule de-identification standards are and how they can be operationalized. Learn through case studies how data sets can be de-identified and disclosed, and how they can still retain significant utility. Develop a critical understanding of the different approaches to de-identification. 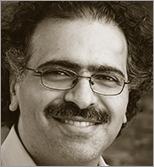 Dr. Khaled El Emam is the Founder and CEO of Privacy Analytics, Inc. He is also an Associate Professor at the University of Ottawa, Faculty of Medicine, a senior investigator at the Children's Hospital of Eastern Ontario Research Institute, and a Canada Research Chair in Electronic Health Information at the University of Ottawa. His main area of research is developing techniques for health data de-identification or anonymization and secure disease surveillance for public health purposes. He has made many contributions to the health privacy area. In addition, he has considerable experience de-identifying personal health information under the HIPAA Privacy Rule Statistical Standard.